Shelley Costello President of Creative Web Concepts. #1 International Best Selling Author, Featured on Realtor.com, FOX News 35 as Social Media Strategist, Speaker- Endorsed by Emmy Award winning speaker, Les Brown. I have an established reputation as a highly skilled, Tech Savvy and Creative Social Media Manager, Coach, Trainer and Branding Expert. Internet Marketing Manager with history of meeting unprecedented challenges and successfully developing and implementing leading edge marketing solutions. Recognized by local competitive set as leader in internet marketing. 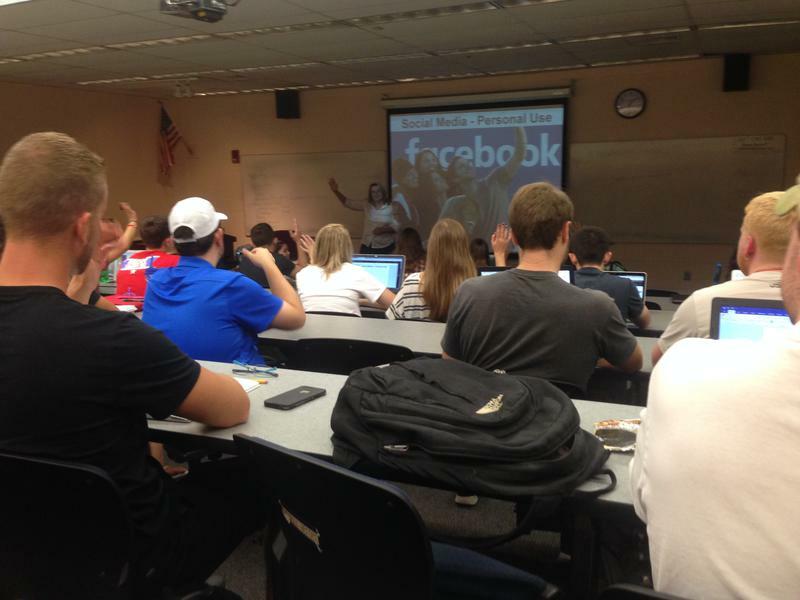 I have the opportunity to lecturer on social media this semester at University of Central Florida's 4 year Internet Marketing students. Shelley is a dynamic speaker who has shared the speaking stage with Emmy Award Speaker and world renown motivator, Les Brown. Shelley speaks on many topics such as technology, social media, systematizing your business, and much more. She can create presentations that reflect the big picture, but break it down into easy to understand and engaging. Using the latest technology, Shelley captivates her audience and empowers them to take action immediately. Shelley is a published author with books on the subject of Social Media and Internet marketing. She has an established reputation as Internet Marketing Manager with history of meeting unprecedented challenges and successfully developing and implementing leading cutting edge marketing solutions. Her company specializes in taking your name, brand, product or service to the marketplace and the news media. Her staff uses the latest in technology, social media, press releases and public relations to take you to the public through social media channels including; Twitter, LinkedIn, Facebook, Pinterest, Tumblr, Instagram and more. She provides corporate social media training and provides local business owners with professional blogging, SEO Copywriter, and creating a Social Media and Web Presence. She is the web community manager for busy business owners & professionals in the Orlando, Florida, Atlanta, Ga, and Asheville, NC Area. She has made several appearances on Fox News Orlando as a social media expert guest. CEO of a successful social media marketing/management and coaching business. Speaking topics: Social Media Marketing, Business Growth, Future Age Web Marketing, Successful Networking and more.Her expertise also includes:Business Development, Lead Generator, Personal Branding & Marketing Specialist. Specializing in Internet marketing and online branding with WordPress and video marketing. Shelley Costello is an entrepreneur and network marketer. She loves Helping businesses increase sales & profits. She is a Social Media Strategy Expert, Social Media Marketing Consultant.She uses her knowledge and talent to host free events, trainings, social media services and online webinars FREE of charge as a feeder base to recruit for her network marketing companies. Shelley specializes in taking your name, brand, product or service to the marketplace and the news media. She is an expert Internet Marketing professional and business development coach. Her staff uses the latest in technology, social media, press releases and public relations to take you to the public. Shelley is a professional business networking event trainer, promoter and and host, hosting several networking groups. She is a networking mentor and coach. She teaches networking skills and business growth through networking and creative advertising. Networking Bringing Offline to Online, Twitter, LinkedIn. *Relationship Building Internet marketing basics, tools and advanced tactics, Strategic Planning & Marketing. Shelley is founder, CEO and creator of “You, The Next Greatest Networker” proven system that is revolutionizing the networking groups and events function. Shelley is guaranteed to have a massive impact on your results from your business networking efforts. 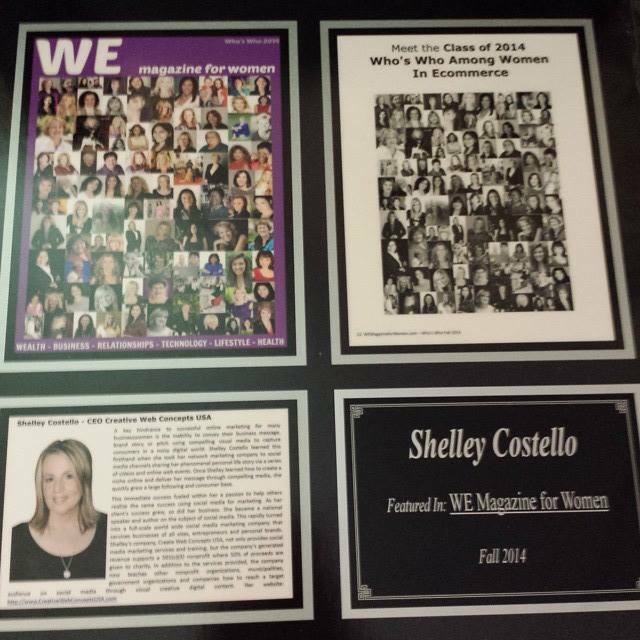 Voted WE Magazine for Women Class of 2014. One of 100 Who's Who Among Women in Ecommerce! Impecable References! Well Respected in Central Florida and around the US.